With over 7,300 restaurants (of which 27 are Michelen-starred) calling Chicagoland home, a visit here will leave you spoiled for choice when it comes to dining out. 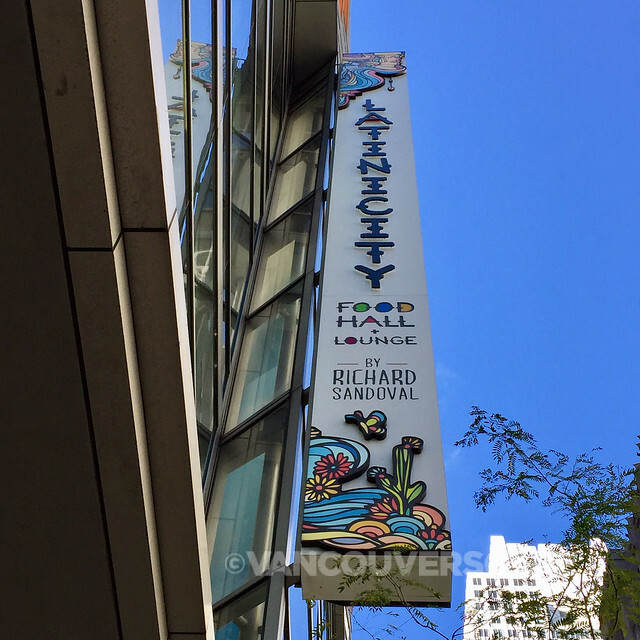 On this particular trip, I was in town to cover the Laver Cup, so I decided to narrow down my meals to casual spots that were relatively easy to get to between all that glorious tennis. Truth be told, there are so many cafés (and Garrett’s popcorn shops) that you’ll need to exercise some restraint in between meals, but these restaurants should satiate most appetites. Go deep or go home! I had to make time to savour a deep dish pizza in Chicago and for four generations, Lou Malnati’s has carried on the family recipe for its famously addictive flaky, buttery crust. Roger Federer and several members of Team Europe dined at this very Gold Coast location a few nights prior to my visit, this being Malnati’s major location for filming food shows and hosting celebrities. 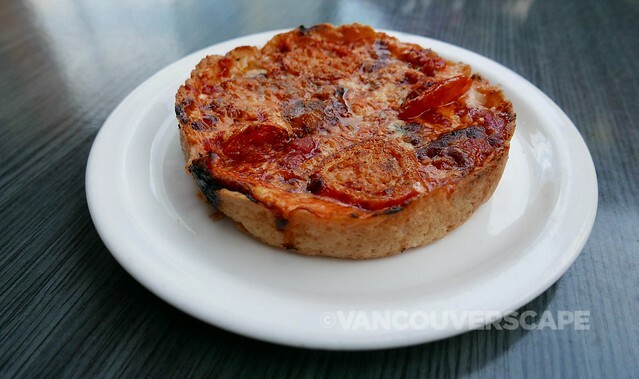 This is deep dish done right — not too thick, not too thin. These gourmet pizzas get topped with mozzarella sourced from the same Wisconsin dairy farmer since the restaurant’s opening. Vine-ripened California tomatoes known for their sweet, plump flavour are part of this Chicago delicacy. There’s the Malnati Chicago classic with Lou’s lean sausage or The “Lou”, including a seasoned spinach mix, mushrooms, sliced Romas and three types of cheese. You can also select from a list of ingredients to match your thick – or thin – creation. Lou Malnati’s has a to-go area as well as the option to ship a pizza anywhere in the US. If you’re lucky enough to call Chicago home, they also deliver the goods to your door. Visit them online for menus and locations. This 24,000 square-foot space, housed on the ground floor of a historic 1907 building in the heart of the city’s business district, opened two years ago and judging by the looks of a Friday lunch hour crowd, its popularity won’t die down anytime soon. Just about every place had long lines (then again, it was to be expected as I arrived just past noon before heading to Chicago Center). Chicago hospitality collective 16” On Center opened this all-local dining concept to cater to the workday crowd, but it does wonders for hungry tourists as well. They’re all grab-and-go, but there are seating spaces within the building to sit down and enjoy your meal. With 15 casual yet gourmet food spots vying for your attention, you just may have to return for another visit or two. 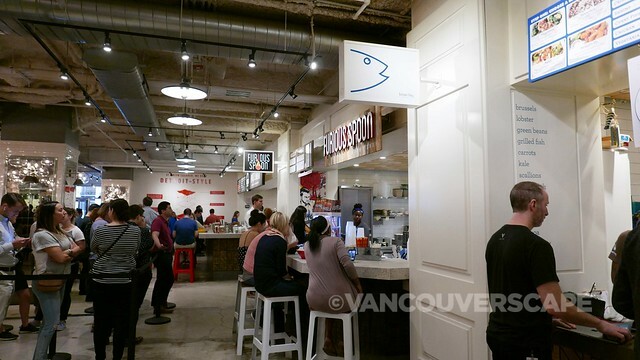 I enjoyed lunch at Brown Bag Seafood Co., but if you’re in the mood for BBQ, there’s Smoque. 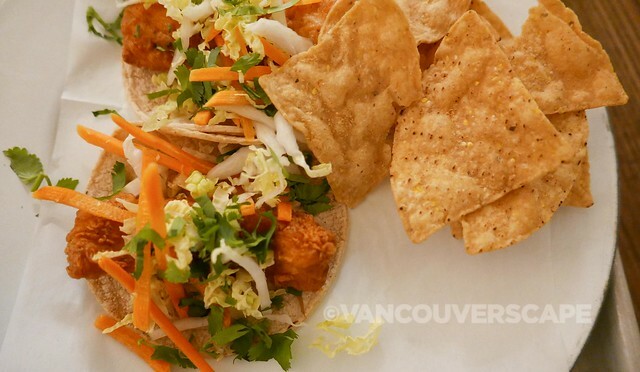 For tacos, it’s Antique Taco. Other choices include Danke, Furious Spoon, Black Dog Gelato and Aloha Poke Co. This is serious foodie heaven. 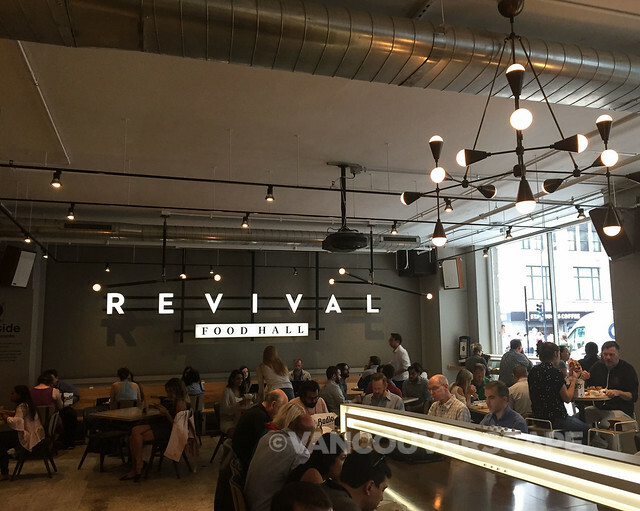 Located at 125 South Clark Street, Revival Food Hall is only open Mondays through Fridays, 7 am to 7 pm; bar open until 9 pm. 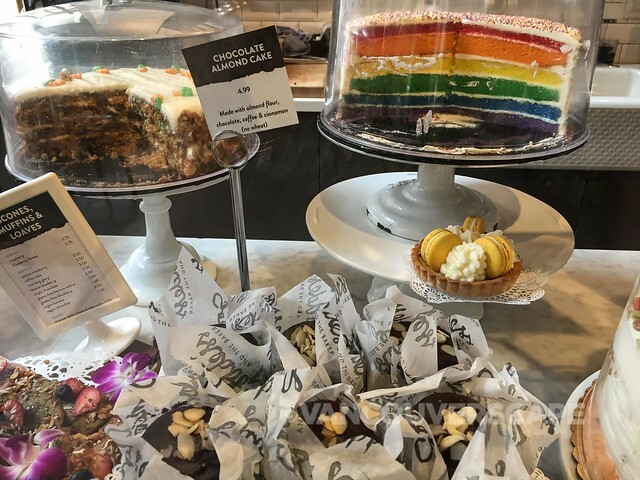 If you have the time to step outside the city’s downtown core, make a beeline for River North, Streeterville and Fulton Market neighbourhoods, filled with bars and restaurants, including Beatrix, a healthy eatery housing a popular coffee and bakery counter as well. There’s an inviting patio out front with views of Chicago’s skyscrapers. 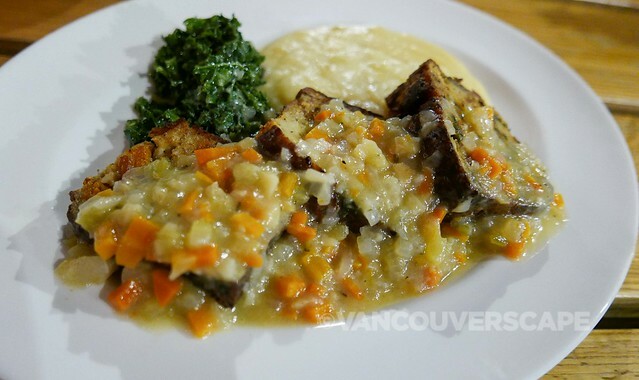 It is here that I enjoyed a healthy, hearty dinner that included a starter of ahi tuna crudo followed by the perfect Sunday supper: Turkey, sweet potato and greens neatloaf (made with ground turkey), sliced and topped with a veggie gravy and sides of kale and mashed potato. Other options include prime burger, Szechuan chicken, pan-roasted Chilean sea bass and Wagyu pot roast filet mignon. 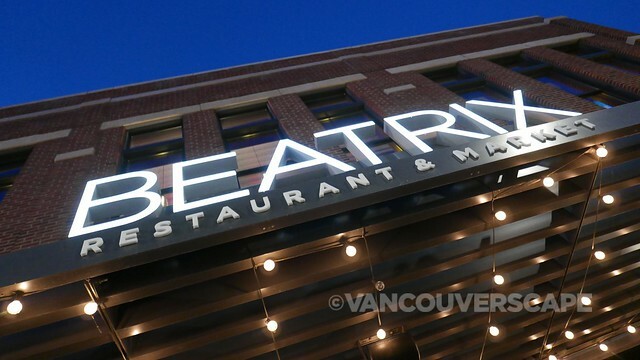 Beatrix Fulton was conceived by Lettuce Entertain You Enterprises’ Founder Rich Melman and team, fusing a coffeehouse, restaurant and meeting spot with a tastefully designed interior. They’re at 834 West Fulton Market. As if having cooked catered meals for the likes of Adam and The Ants and Paul McCartney during London’s New Wave era wasn’t enough, Melbourne native/former music journalist Debbie Sharpe moved to Chicago, fell in love with the city and created a mini empire of beautiful eateries, starting with Feast. 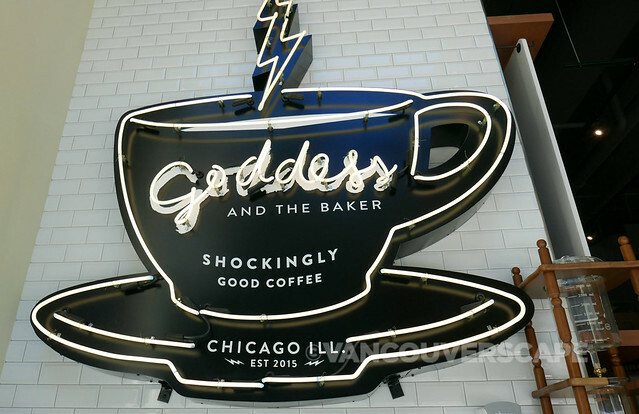 Goddess and the Baker is a stylish cafe with a patio that’s gained a fiercely loyal following for tasty lunches, gourmet coffee, juices and baked goods at 33 South Wabash Street. 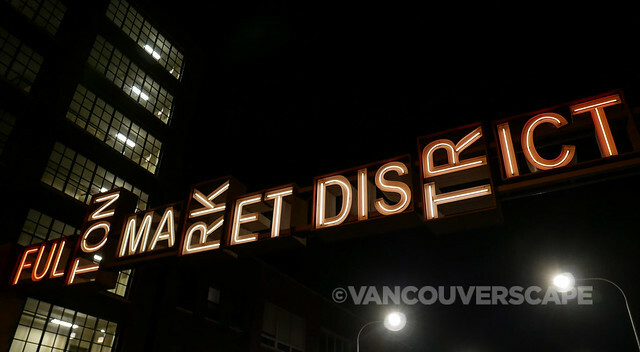 They’ve got a couple of other locations as well as a grocery store, Goddess and the Grocer. 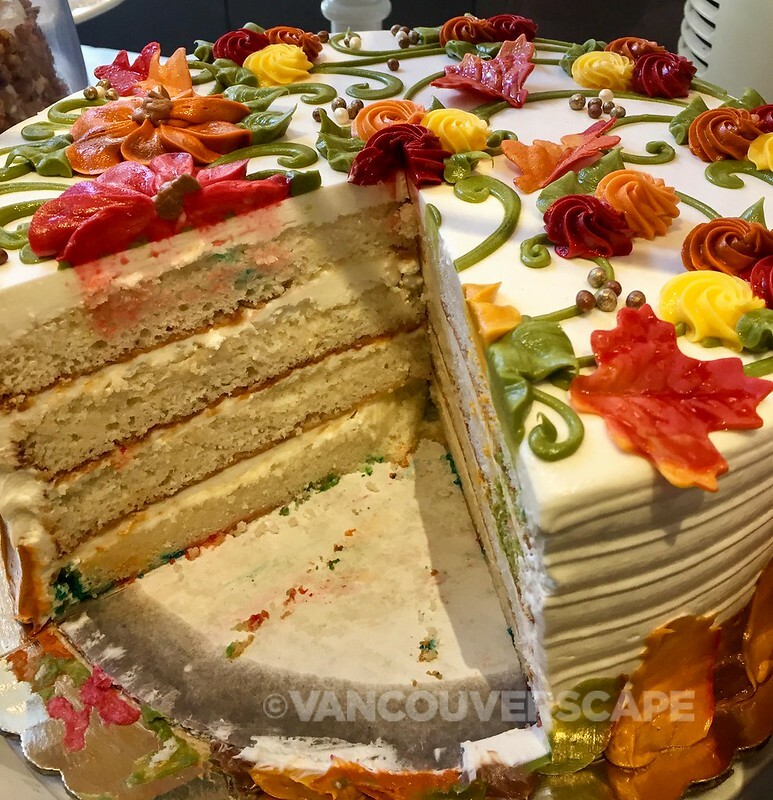 Serving up a colorful, globally-inspired menu of creative sandwiches, vibrant salads, mix-and-match square meals and gourmet pantry items, Sharpe opened The Goddess and Grocer in 2004 and it became an instant hit. 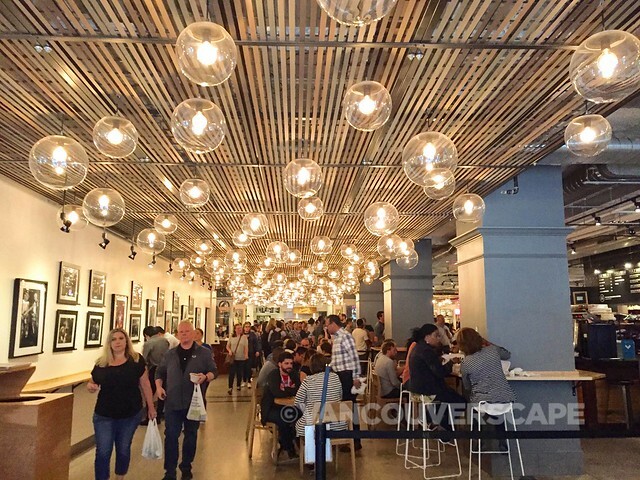 Latinicity, the brainchild of renowned chef Richard Sandoval, is actually a food hall on the third floor a shopping mall smack in the heart of downtown Chicago, close to the theater district. Within the restaurant are eight eating establishments ranging from seafood to hamburgers, all with a Mexican flair. There’s even a sushi and ceviche restaurant here. Towards the end of the hall is a coffee and dessert spot. On weekends, brunch is priced at $20 (all-you-can-eat) and $35 for Bloody Mary’s and house sangria (two-hour limit) including salsa dance lessons in the back of the hall (I believe the higher-end brunch ticket gains entry to this part of the hall). Find Latinicity at 108 North State Street, on the third floor of Block 37. My meals at the above restaurants (with the exception of Goddess and the Baker) were provided by Choose Chicago. Opinions, as always, remain my own.